Property 18: Bobby's Nook has been specially designed for just the two of you! Property 25: Contemporary and stylish Montpellier apartment. 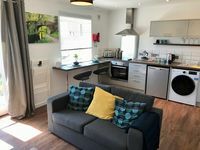 Small Double Room in Cheltenham. Property 31: Small Double Room in Cheltenham. Property 33: Stardust Stargazing Hut is a luxurious and cosy retreat for two.